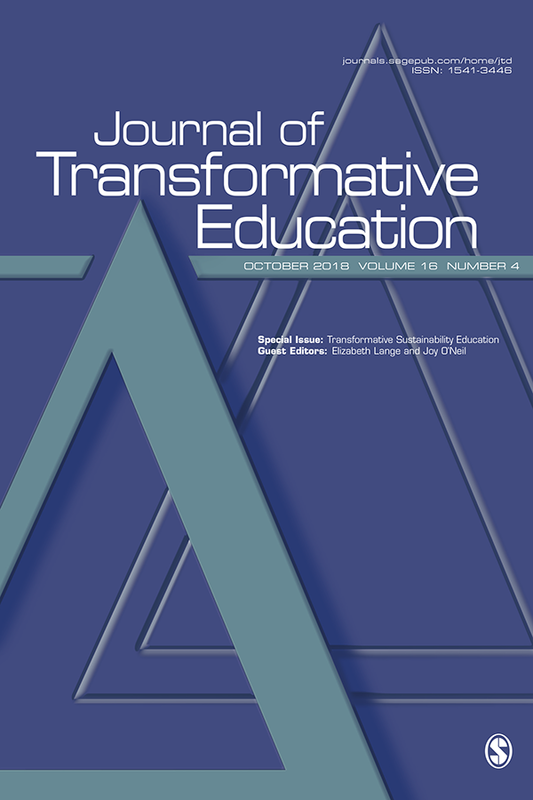 David Selby and Fumiyo Kagawa have contributed an article to a Special Issue of the Journal of Transformative Education on the theme of Transformative Sustainability Education. The purpose of the issue is to 'collaborate with leading thinkers and scholar practitioners on emerging theory regarding the ontological and epistemological roots of the educational endeavor, new insights into transformative learning, and how different theories of transformative learning have contributed to the theory and practice of sustainability education'. The hardcopy version of the issue will be published later in 2018 but articles from the issue are now being made available online. The above-titled article by David and Fumiyo went online on 8 July 2018. Against a backcloth of increasing climate change turmoil, the authors explore the transformative claims made on behalf of sustainability education and the nexus between transformative learning and sustainability education. The problem, they state, ‘is the overall lack of consensus about what needs sustaining and what needs transforming’. Seeking to address that problem they call for subversive learning interrogating four key climate change drivers: economic growth, consumerism, denial and climate injustice. They also call for restorative learning in three important areas: restoring nature intimacy, confronting despair and reclaiming the good life. For the article abstract, click here. To obtain the article, click here.